More than £10,000 was raised in a special raffle in memory of Farmers Guardian reporter Louise Hartley. Louise died in July this year aged 24 after a brave battle against a rare form of ovarian cancer. 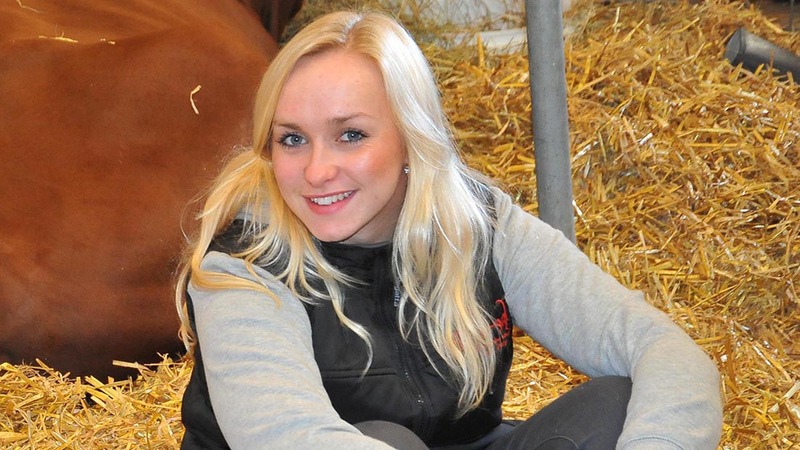 Following her death, members of the farming community, in particular Helen Eastham of Lancashire Holstein Young Breeders, of which Louise was an active member, set about raising money in her honour. As part of this, John Lawson and Anthony Jackson donated the Holstein heifer calf Sweetings Euphoric Bubble and raffle tickets have been sold across the country over the past few months. 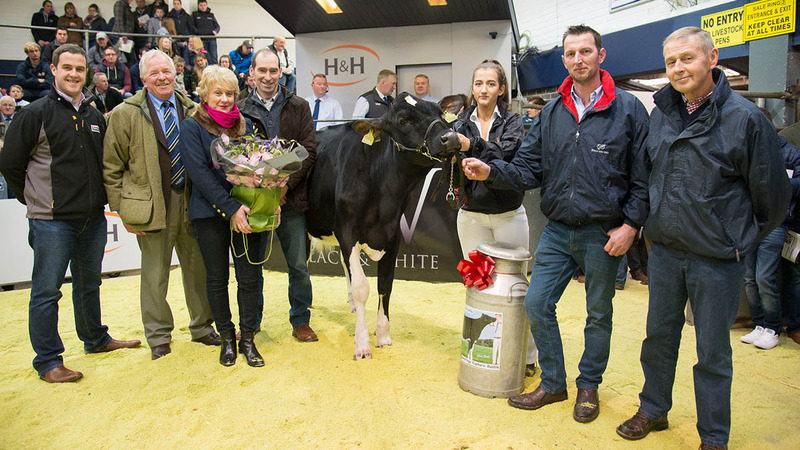 Drawn at the Harrison and Hetherington Black and White pedigree dairy sale at Carlisle (on December 3) by Louise’s mum and dad Sarah and John Hartley, the winner of the calf was Cumbrian dairy farmer Frank Mattinson. Mr Mattinson kindly put the calf back in to the auction, with it eventually selling to Philip Halhead, Norbreck Genetics, for 2,800gns. With the raffle having raised in the region of £10,000 in ticket sales and donations, the 2,800gns achieved for the calf was added to this total. The proceeds of the raffle and sale of the heifer will be shared between the newly formed Louise Hartley Memorial Fund, an ovarian cancer research project, and Holstein Young Breeders. The Louise Hartley Memorial Fund has been established by the Hartley family, with support from Mr Halhead and Farmers Guardian, and will provide an annual scholarship donation for a youngster who wants to enhance their skills or career. Full details will appear in the December 23 edition of Farmers Guardian and then online. Organisers of the raffle, including Mr Lawson and wife Liz, alongside with Mr Jackson, thanked Harrison and Hetherington and dairy auctioneer Glyn Lucas for allowing the raffle to be drawn at the sale.